Perhaps if they wore shoes, their bare feet wouldn’t mix with the rich fertile red soil in the Shamba (rural plantation). 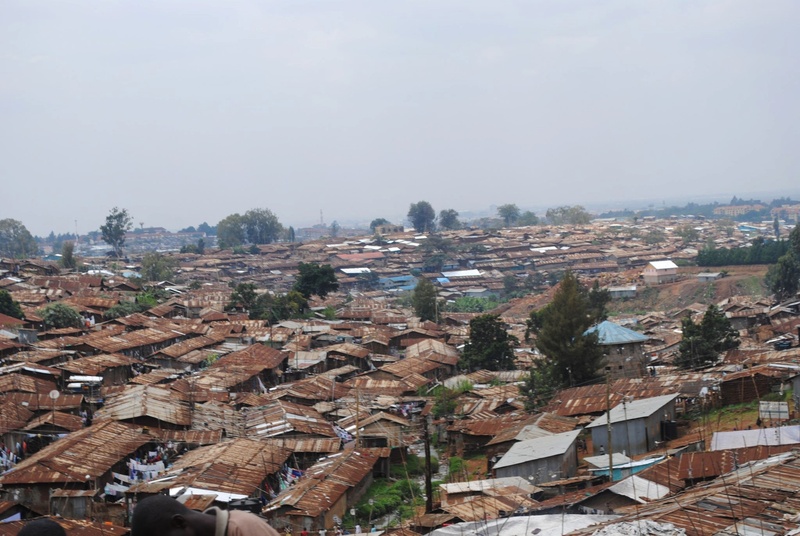 I walked through the largest Kenyan slum in Nairobi – Kibera. 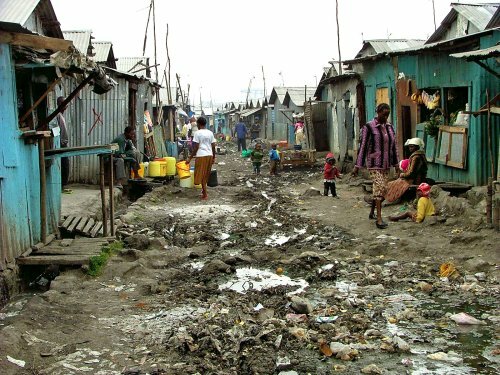 It is also the second biggest slum in Africa and the third biggest in the world. Violence is known there, especially during political elections; the tour guide, who lives there, said killing and injuries caused by men with machetes, large stones, and wooden weapons isn’t unheard of. 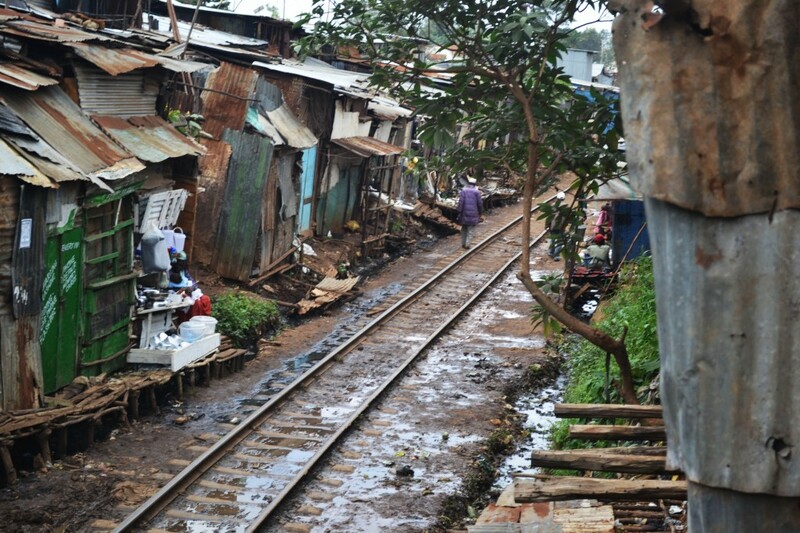 The streets are contaminated with garbage, human and animal feces, and other various wastes. At the top of the garbage mounds there are often goats, stray dogs, chickens, and skinny cats. 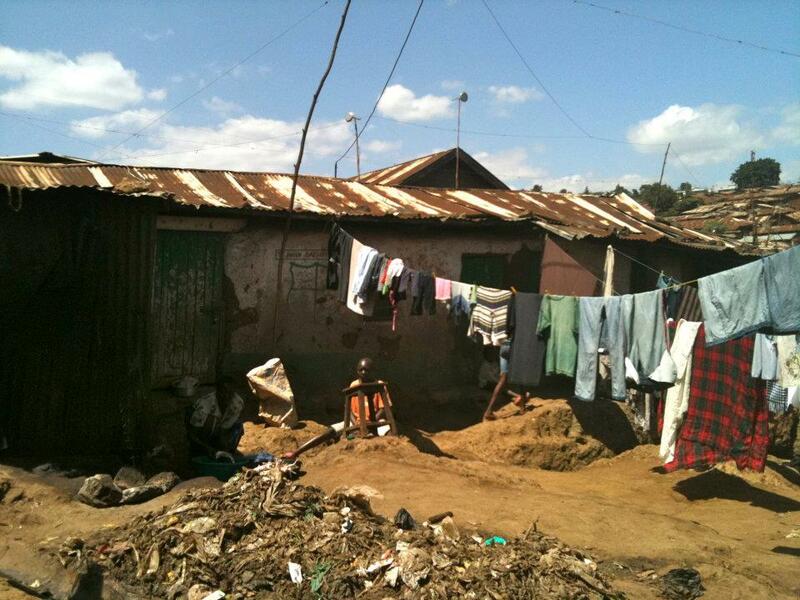 The smell is especially revolting because they have to burn the garbage and there is no sewage system. Although the government provides the necessary medication at no cost, without the right nutrition, diseases continue to spread and kill. This means that everyday there are children who become orphaned. I actually visited one of the orphanages in the slum. The orphanage is a school and safe haven for 56 kids ranging from 3 to 12. Out of these 56, 28 children have parents or guardians who have HIV, and 7 of those 56 carry the disease themselves. Kids in Kibera ran up to us “white” people saying “Howayou!” (how are you) with big smiles and with bright gleaming eyes. 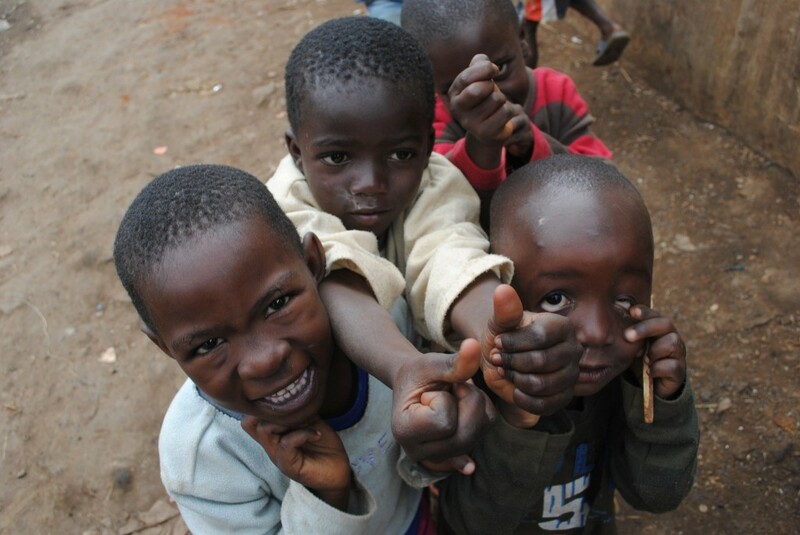 The kids in Kibera ran up to us “white” people saying “Howayou!” (how are you) with big smiles and bright gleaming eyes. They looked so happy to see us, I almost forgot their struggle until I began to ponder why they are so happy to see me. If this small gesture, wave, smile makes them happy, they must know an extreme amount of sadness. So why do they smile at us? Is it because to them, we have everything and they want us to share? Or, do we represent a larger hope of a life they may wish to one day lead? You can’t romanticize poverty if you’ve never experienced it. It’s so much more than a lack of money; it’s maybe not having a family, safety, people who love you, proper hygiene, it’s living in starvation. What’s even worse, under that much stress and lack of opportunity, I’m sure many of them don’t even have hope of escaping Kibera, which in turn means they will die in the slum and in the poverty they were born into. I do believe that wealth is so much more than money, but this extreme of poverty is a constant emotional and physical battle; one that all those kids, who ran up to me yelling “Howayou” so cutely, have to endure. So I began to think- what if I handed them money, they clearly need it more than me. But all that would do is maybe make a kid’s week or month. It’s too temporary and not enough to pull them out, but what if they received the necessary love and education? That could change their life, permanently. 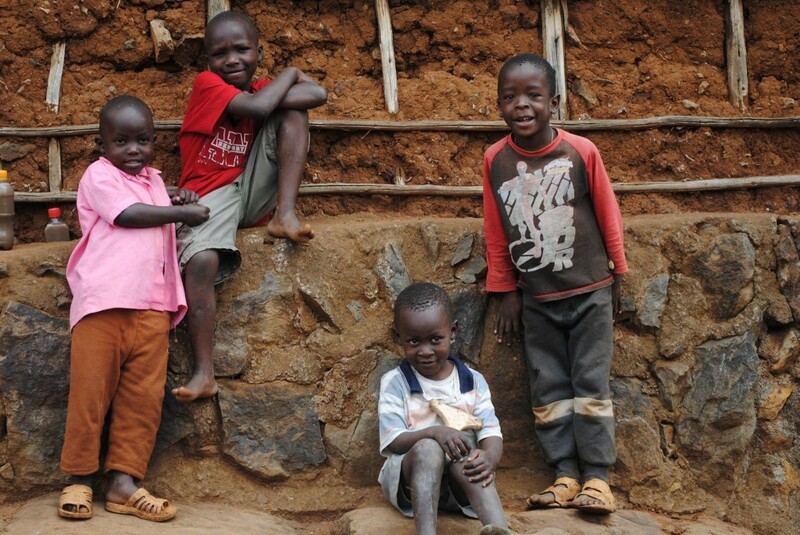 What if these children were given a chance to lead a life of happiness? What if you were the one to give them these opportunities? Maybe then when they ask “Howayou?” you wouldn’t shrug it off in guilt of having so much more than them; and then maybe when you ask in return “How are you?” they will have a genuine, unmasked, hopeful smile and say, “Mimi ni mwema!” (I am good). Sophia Ajania is an investment and fund management professional with Dodge and Cox Funds in San Francisco. She is also studying for her Chartered Financial Analyst (CFA) exams. 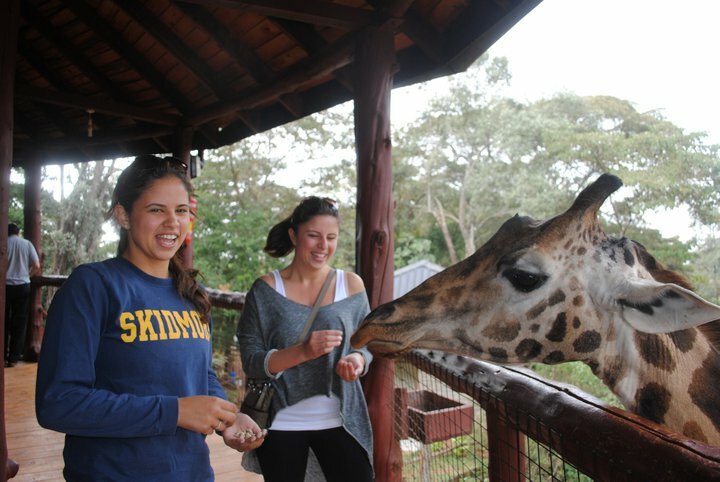 Sophia won a tennis scholarship to Skidmore College in Saratoga Springs, New York, where she recently graduated with a degree in Business and French. 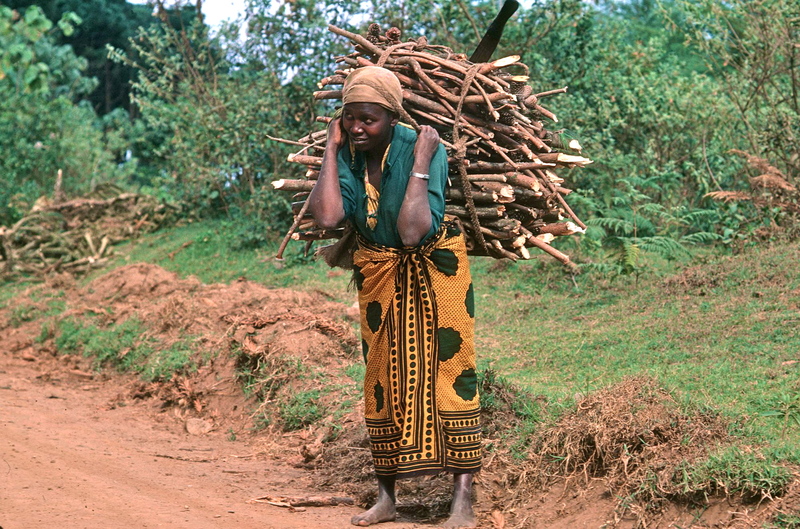 While in college, her activities ranged from competing on the women’s tennis team at Skidmore, to hiking, traveling and being active in social justice, human rights and development issues related to the African continent. She took a semester off from college to work for a New York based nonprofit organization on healthcare and education programs in Sub Saharan Africa. Sophia grew up in Marin County, California, and attended the Lycée Français La Pérous after which she attended and graduated high school from Marin Academy. While in high school, she trained at tennis camps in California and Florida, and also lived abroad to train at tennis camps in both Croatia and Barcelona. Her granddad played high school tennis at Shivaji Military School in Pune, India just before the second world war, during which time Sophia’s granddad was selected to represent his country at Wimbledon Juniors.